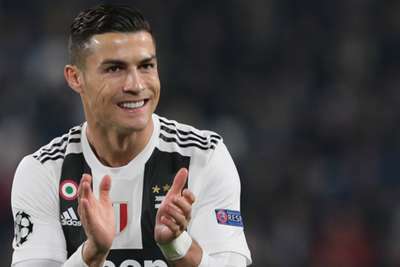 Cristiano Ronaldo is relishing the "beautiful part" of the Champions League and is confident Juventus will be ready for the last 16 despite their shock defeat at Young Boys. Italian champions Juventus crashed to a 2-1 loss to Young Boys but still moved through to the knockout phase as Group H winners ahead of Manchester United. Having already qualified for the round of 16 prior to kick-off, Juve were upstaged by Guillaume Hoarau's double en route to their first away defeat of the season. However, Ronaldo – who celebrated three successive Champions League titles before leaving Real Madrid in the off-season – was upbeat post-match. "Now the beautiful part of the Champions League starts and I'm confident we will be fully ready for it," the 33-year-old superstar, who hit the post against Young Boys, said via UEFA.com. "I'm calm because I know the potential of this team and my potential. "I could have scored a couple of goals easily but this is football, we just have to start to focus on the next game." Hoarau's 30th-minute penalty put Young Boys ahead in Bern, where the former France international doubled the lead with 22 minutes remaining. Paulo Dybala reduced the deficit 10 minutes from time thanks to some help from Ronaldo but Juve were unable to find an equaliser on the road. "We knew that it was going to be a tough game here," Juve midfielder Emre Can added. "We had chances in the first half and didn't score. I think that's the biggest lesson for us. "After they scored, we knew it was going to be difficult. But we're happy to have gone through as group winners, that's what we wanted to achieve, and let's see who comes next."